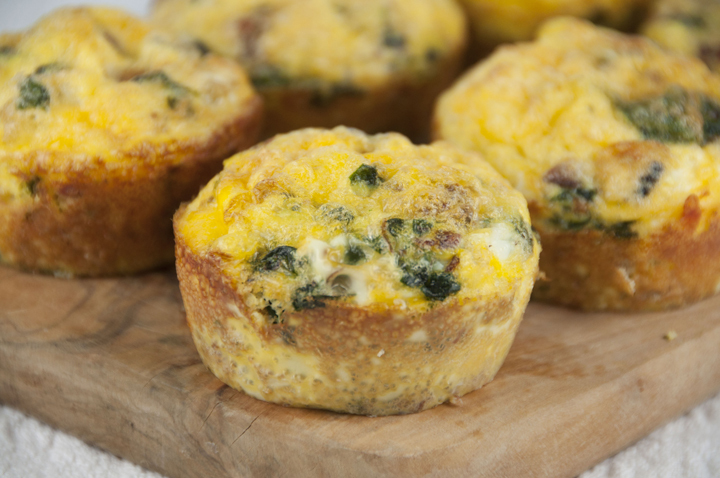 A recipe for Scrambled Egg Breakfast Muffins with sausage and green peppers or spinach that are pretty, hearty and fun to serve for breakfast or brunch. I do not have a lot of time today as I’m packing up and going out of town again! Seriously – am I EVER home?! I should just keep my suitcase permanently packed! My life is crazy sometimes (in a good way). You are going to love these scrambled egg breakfast muffins with sausage. I am joining Mr. Wishes on yet another adventure and tagging along on a business trip of his. Working from home definitely has it’s perks when all you need is yourself, a book and a laptop and can do your work from anywhere that has free WiFi. This is a nutritious breakfast idea for scrambled egg breakfast muffins that is super easy to make and you can eat them on the run with very little mess and whole lot of convenience. You can just stick each muffin in a plastic ziplock bag and grab it and go in the morning (does anyone reading this ever eat breakfast in the car before work?). These egg breakfast muffins are a great idea to take to a brunch or shower as these muffins are very portable and easy to serve as they don’t need to be cut, etc. They can even serve as a quick lunch idea! Breakfast food, in my eyes, is appropriate for any meal and ANY time of the day. Enjoy and have a great weekend! *I've also successfully used frozen spinach that I thawed and drained. Add onion, green pepper, salt, garlic powder and pepper. 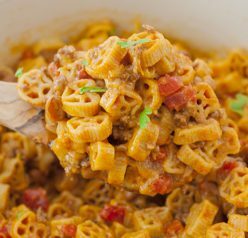 Stir in sausage and cheese. Spoon by ⅓ cupfuls into muffin cups that have been coated with cooking spray. Love these for a quick, healthy breakfast! I make a similar version with sausage and kale, and they are SO great to have around. Have fun on your trip! What a great idea to turn breakfast classics into muffins! My 4-year old keeps asking for muffins, so I might make her these next. 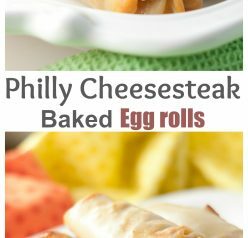 These looks great and perfect for when I have company and need to feed a large group quickly! You know, I just spent a little time working on breakfast items that would be ready for hubby in the mornings! I now KNOW that I need to make some of these for him! Great idea especially for busy days when you need something good and hearty while rushing out the door! I just love breakfast muffins. They are wonderful for when you are running out the door! I have made things like this for my Dad to take to work and eat on the go. They are so easy to make and perfectly portable! Enjoy your trip! 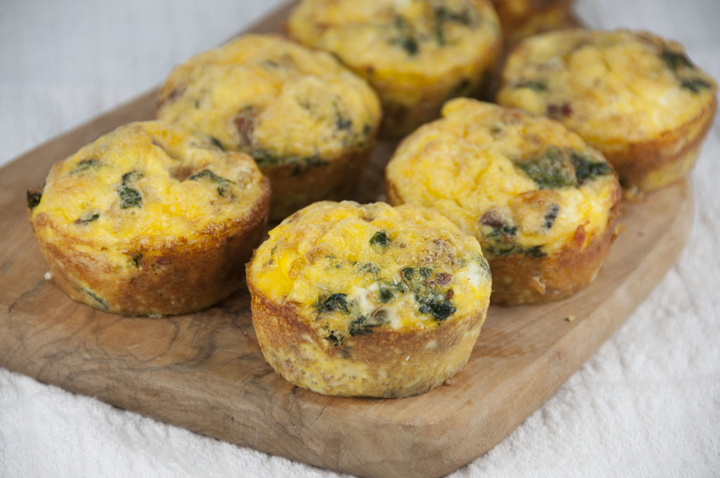 These breakfast muffins look like the perfect way to start the day! Breakfast on the go! Love!!! What a terrific idea. I really like this muffin idea. Definitely a grab and go. It also filled withsome of my favorite foods. This is something I’ve wanted to do! Looks fantastic…delicious and convenient! I love eggs every which way! What a great idea! I’ve been trying to be a good girl and pack a nutritious breakfast for work, since there aren’t a whole lot of healthy options I can pick up on my way in, and these look like the perfect option… just enough protein and fat to keep me full til lunch, plus I can sneak in some healthy veggies for balance. Genius! I love a good grab and go breakfast, and this one has all my favorite savory breakfast ingredients! These look super simple tomake! These look great. 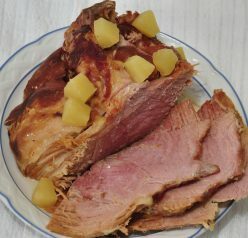 I have done similar however I like this combination of ingredients. They are also very good cold, almost like a quiche because they are so hearty. I pretty much eat breakfast in the car on the way to work every day due to the commute. Thank you for this one. Ashley…I can’t wait to make these…breakfast is my favorite meal of the day, and these look incredible! Easy too! Thank you!